The federal budget includes a $2.2 billion surprise for Canadian municipalities facing a long list of infrastructure needs. There's a $2.2 billion surprise in the federal budget for Canadian municipalities facing a long list of infrastructure needs and Mayor Jim Watson says it will mean a lot to Ottawa. The government is taking that money from its gas tax revenue and sending it directly to local governments, to be used for everything from roadwork and public transit to environmental and cultural infrastructure projects. The federal government already gives $2.2 billion to municipalities from its gas tax revenues — Tuesday's budget doubles that amount. Watson said the money amounts to about $57 million for Ottawa, and will help fund the city's LRT expansion and could mean the city will take on less debt as it moves ahead. "This is really good news for our residents and good news for the City of Ottawa," he said. "It is very good news for the City of Ottawa, the people of Ottawa, people who take transit." The funding will come all at once and doesn't first have to go through provinces or territories. 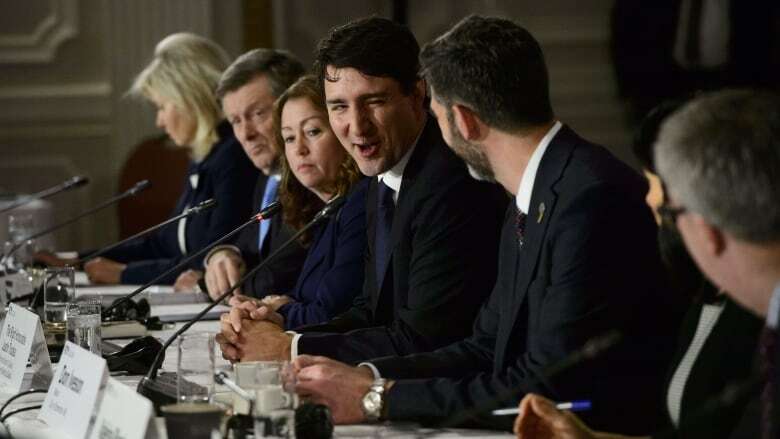 "This is kind of a means for the federal government and municipalities to have a more direct relationship," said Sahir Khan, executive vice-president of the Institute for Fiscal Studies at the University of Ottawa. The Federation of Canadian Municipalities (FCM) had asked for the federal budget to give them the tools to address local priorities. The federation's president Vicki-May Hamm said in an emailed statement that the gas-tax funding would be important. "For communities of all sizes, growing this transfer means better roads, bridges, transit, recreation centres and more. This is about empowering local governments to do what they do best," she said.